Our annual Big Uni Bake is over and it was a huge success. 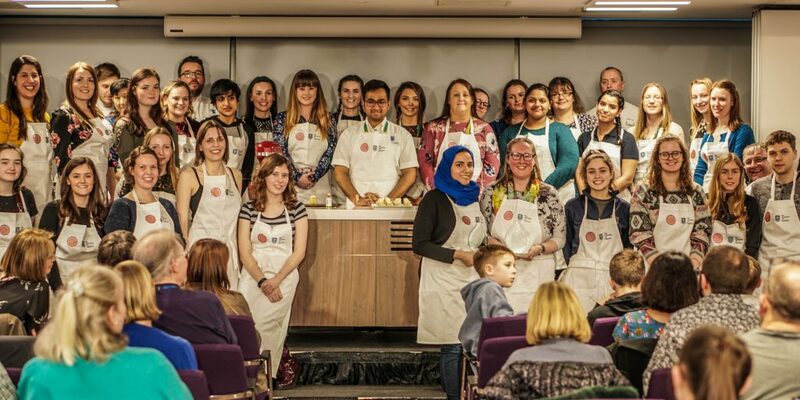 We once again challenged University of Sheffield staff and students to create their best cakes and cupcakes before facing off against each other in a battle of the bakes. There was more than just pride at stake with trophies being awarded by Rahul Mandal, winner of last year’s Great British Bake Off. From over 80 initial entries our judging panel managed to slice them down to our two winners. 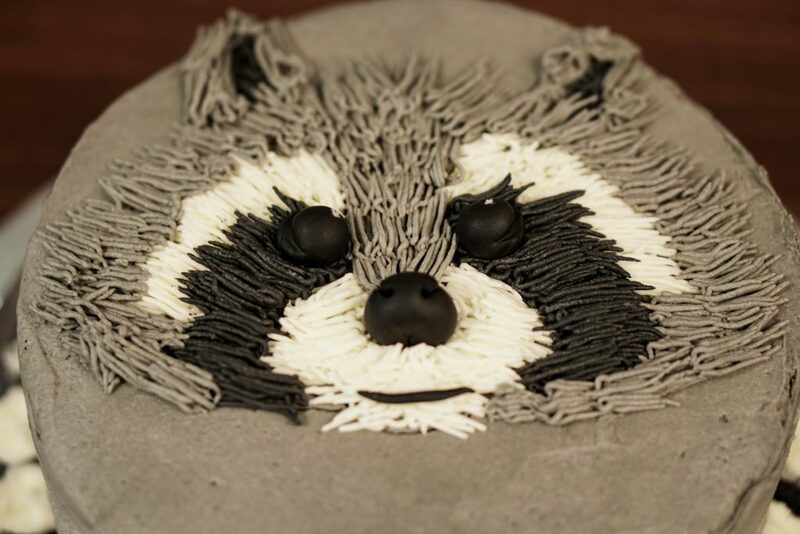 There were some spectacular looking bakes but in the end, Cara Russell and her raccoon cake came out on top to win the Staff Baker of the Year award. 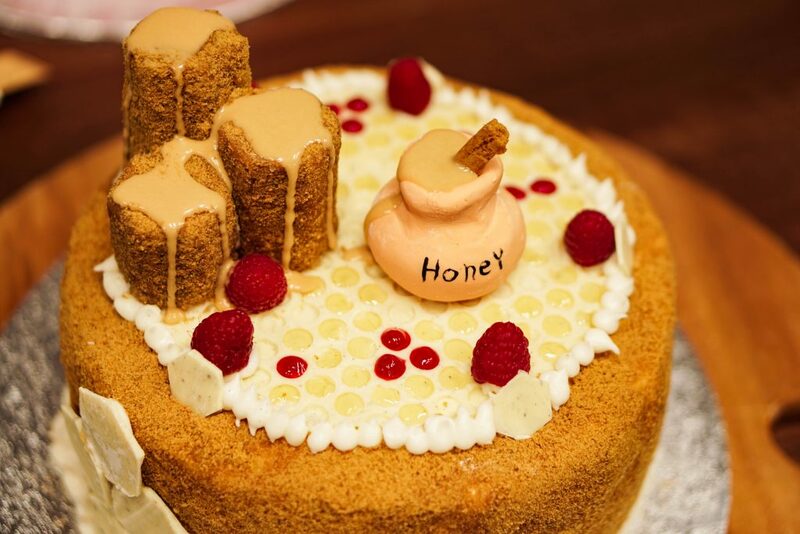 And our Student Baker of the Year award went to Fatma Bucklain with her intricate honey pot cake. Prior to awarding the winners with their prizes, Rahul gave a baking demonstration with the help of our own Sous Chef Ben Slater. Rahul gave out some of his top tips, ranging from what flavours work well together to where to buy your ingredients! We managed to get a great group photo of Rahul, our judges and all of the bakers before selling off their wonderful cakes and cupcakes to help raise money for our chosen charities, Roundabout and Cherrytree. As an extra surprise for the winners, they will get a day at Cawa working with their pastry chef Brett, one of the judges. If you would like to take a look at the entries, click here. The festive season is well and truly in swing now and here at INOX we’re looking forward to welcoming nearly two thousand guests for festive lunches, dinners and parties over the next few weeks. As the big day gets closer and closer, cooking a Christmas dinner can start to feel a little daunting. 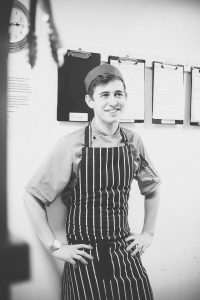 We caught up with our award winning Sous Chef, Ben Slater, who shared his top tips for cooking the perfect Christmas dinner. Absolutely make sure you baste your turkey to keep it moist… this is really important. Cook your roast potatoes with fresh garlic and rosemary to add extra flavour. The trick to the best Christmas dinner is when the veg and accompaniments have had the same care and attention that the turkey (or your chosen meat) has had. Always rest the turkey after cooking. If you have a temperature probe, use this to your advantage, cooking the turkey to 75 degrees will help keep the turkey moist and stop it drying out. Make sure you probe at the thickest part of the bird (the thigh). We love it when customers share their stories with us. We were delighted to hear from Chris Bower who married her husband John in May 1986. Chris and John were married at St. James Church in Norton and held their reception in what is now INOX. They were kind enough to share their story with us, along with some pictures from their visit to the restaurant in June. 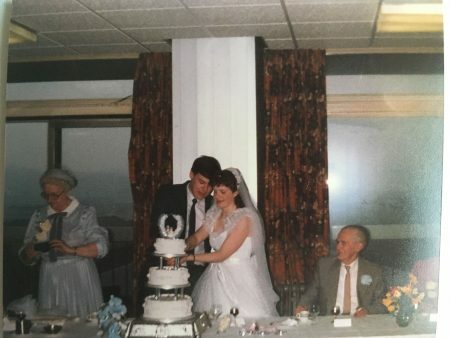 “We married at St James Church, Norton on 17th May 1986 and as John lived at Hillsborough and I lived at Lowedges we decided we needed our wedding reception to be somewhere central but as we had a large guest list it also needed to be big enough for both our families and reasonably priced too and so the Sheffield Students Common room, as it was then called, was ideal. As it was the middle of May we thought it would be a sunny day but as it turned out it was windy and drizzly, we managed to get most of our photos taken outside the church but then the rain came and so we made our escape and had some more taken inside the evening reception room. 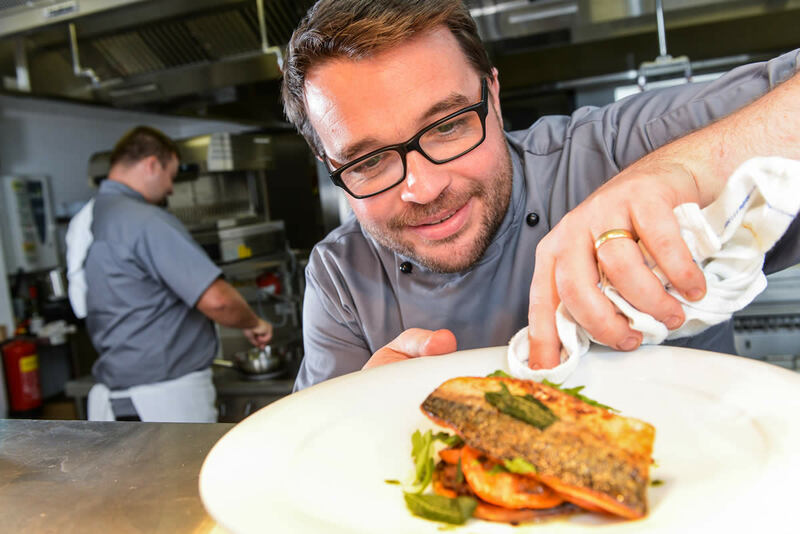 Inox is constantly evolving our menu to showcase the ease of incorporating a variety of dietary needs into our Sheffield restaurant menu and Head Chef Joe Berry enjoys the challenge of creating exciting and inclusive dishes. Whether you’re choosing to lead a healthier diet whilst still indulging a little or you lead a vegan lifestyle, our vegan chocolate mousse has proven popular for all. It has proven so popular and so enjoyable that this recipe is featured in the Sheffield Cookbook: Second Helpings so you can learn how to create this delicious treat for yourself. On the 28th May at the Sheffield Food Festival, our talented head chef Joe Berry will be showcasing the dish himself so you can see how we prepare it in our Sheffield restaurant. You’ll have the opportunity to watch a master at work and taste the delicious vegan chocolate mousse for yourself. The recipe itself is created using aquafaba, which is the juice from chickpeas and when whipped up it creates a similar texture to that of egg whites, creating a light and fluffy mousse. Whilst Joe Berry will be leading the demo, other members of our team will be there to hand out free samples, talk through the recipe and answer any questions you may have about the recipe or Inox itself. Come along on Sunday 28th May, 2-2.30pm to see our demonstration and try some of the chocolatey goodness for yourself. The Sheffield Food Festival will also be showcasing lots of other chef demonstrations and masterclasses, with Sheffield chefs and experts alike. Be sure to head over to their website to view the full list of participants. If you can’t wait to get your hands on your own Sheffield Cookbook: Second Helpings, you can grab your own copy at Inox today! It’s Diet Awareness Week from April 24-28th and at Inox, we want to illustrate how tasty, nutritious and fantastic food can be included in all dishes irrespective of whether you are dieting or not! Sometimes to make a great flavour dish you have to think a little outside of the box. Did you know that the juice from chickpeas can be used to make vegan chocolate mousse? We are full of useful and insightful facts, and our creative chefs use these to create some amazing dishes. Our vegan chocolate mousse is so good it was recently featured in the 2017 Sheffield Cook Book, pop over to Inox and take a look or purchase your copy. All the standard dietary requirements will be included in our regular menus throughout the week, so irrespective of what stage you are at with your diet you can still savour and enjoy our fantastic range of menu options. Equally, our chefs can create bespoke dishes too! Special diets don’t need to be limiting; this week is a great opportunity to be creative and explore new ingredients. 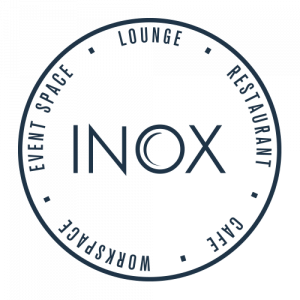 When it comes to accommodating dietary requirements, Inox is one of the best places to eat in Sheffield. If you’re looking for some inspiration or interesting ideas for new dishes which incorporate specific diets, take the time during Diet Awareness Week to experiment. Even if you don’t have dietary requirements this is a great opportunity to explore new flavours, try new ingredients, and join in the fun! Post photos on Twitter and Instagram and share your creative cooking skills with us. We love to see our customers getting creative with food and what better week to try new things than Special Diet Awareness Week. Pop in for the best afternoon tea or lunch in Sheffield; we look forward to greeting you at Inox as always throughout Diet Awareness Week. Thirsty Thursdays? Sheffield’s “Alive after 5”. Is Thursday fast becoming the new Friday? We think it is & we want to celebrate that day with you in our Sheffield restaurant. Following the success of our Thursday Hygge event last month, we wanted to continue the fun on and encourage you to spend time on a Thursday evening with friends and family. Sheffield’s “Alive After 5” campaign aims to encourage people to stay in the city centre on a Thursday and offering an array of things for them to do including shopping, drinking and eating. We believe that Sheffield has more to offer and making the time to explore it on a Thursday is a great idea! Inox’s Hygge event was such a huge success with everyone who attended making dedicated time to spend with friends & family that we believe we should keep the idea alive. Taking time to appreciate the good things in life with great company & food is what life should be all about, and it’s what we all love doing, right? So come along and make the time for Inox on a Thursday evening! Take an hour out of your week on a Thursday evening at one of the best places to eat in Sheffield, enjoy a drink & amazing food with great company from 5pm. 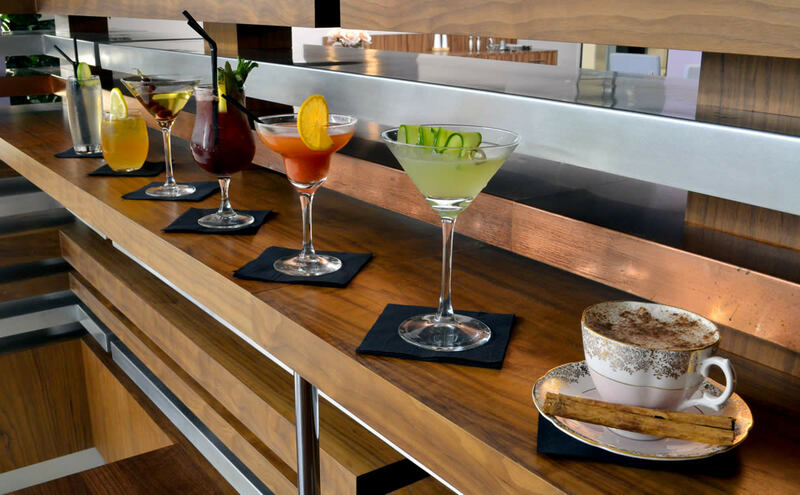 We have a “Happy hour” on cocktails between 5pm-6pm when we offer 2-4-1 on our cocktail list. We’re big supporters of local companies so have a selection of local beers and gins on offer for you to enjoy. Try food from our seasonal menu which changes monthly in order to stay engaging and allows us to remain as sustainably as possible with local, fresh and seasonal ingredients. Make Thursday at Inox a weekly date in your diary; meet up with friends and enjoy some quality time with those you love, in the city that you love. The monthly Inox Dine Breakfast Club networking meetings are going from strength to strength, with a number of guest presenters having already been confirmed for the meetings up until early 2016. Inox Dine provides a perfect environment for informal & effective networking; our guests enjoy varied monthly presenters whom we carefully select from a range of corporate, charity, academic & sporting backgrounds. Our speakers present on subjects that are relevant, engaging & significant to business people, whether they are managing their own businesses or part of larger organisations. You have the opportunity to win a meal for two when you submit your nominations for the Eat Sheffield Awards 2015. The publicly voted awards are now open for nominations and Inox Dine has been entered into the Modern British category – now we need your vote! 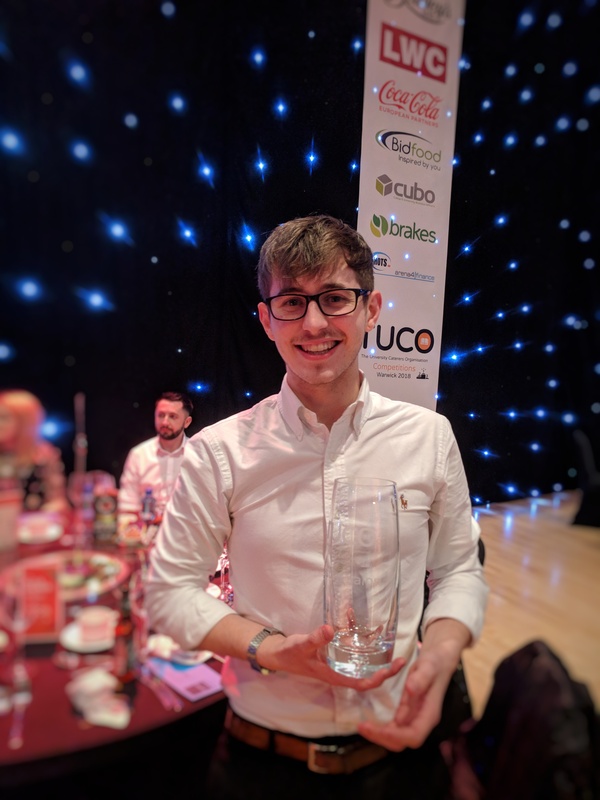 The Eat Sheffield Awards celebrate the success of South Yorkshire and North East Derbyshire’s high profile food businesses, as well as recognising the achievements of individuals, new and smaller food businesses and projects across the regional food industry. If you have had a fantastic experience at Inox Dine, whether you enjoyed lunch, afternoon tea, dinner, cocktails, or a special event or celebration, help us to share it with the city by voting for us in the Eat Sheffield Awards now.